Three people dead, at least 12 wounded after shooting near French Christmas market. The death toll in a shooting near the picturesque Christmas market in the historic French city of Strasbourg has been revised to three, with at least 12 people injured. “He fought twice with our security forces,” French Interior Minister Christophe Castaner told a news conference held in the city. Castaner said 350 security agents were hunting for the gunman who fled the scene and that France was raising the security threat level and would bolster the protection of Christmas markets elsewhere and strengthen border controls. With France still on high alert after a wave of attacks commissioned or inspired by Islamic State militants since early 2015, the counter-terrorism prosecutor has opened an investigation. 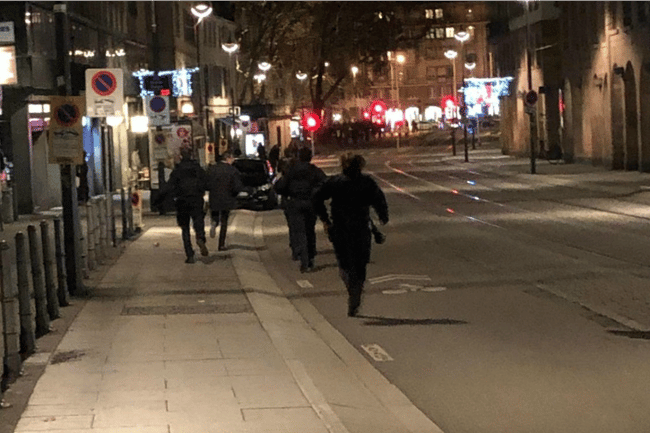 The suspect was identified by police as Strasbourg-born Chekatt Cherif, 29. A source close to the operation earlier said the suspect had been cornered and shots had been fired. But an hour or so later, a police source said he was still on the run. The attack began at about 8 pm local time (0600 AEDT) as stallholders prepared to close down and the city’s restaurants filled up. Bystanders were swiftly ushered into nearby shops. President Emmanuel Macron was being updated on events, an Elysee Palace official said. City authorities said the market and all cultural attractions would be closed on Wednesday. France has been grappling with how to respond to both homegrown jihadists and foreign militants following attacks in Paris, Nice, Marseille and beyond since 2015.